A great beginning is important, but it isn't everything—and that definitely applies to the movies. Plenty of films get off the starting block just fine, but those interesting opening acts are just a prelude to a series of stumbles that end in utter collapse. Here's our list of bad movies that initially looked like they could have been great. Who doesn't love a sci-fi revisionist Western? It's a genre that keeps on giving. There's TV shows like Firefly and Westworld and anime gems like Cowboy Bebop and Trigun, and movies like… Well, there's the original Westworld, Back to the Future III (sort of), and imported postmodern masterpieces like The Good, The Bad and The Weird. That's about it, to be honest. Mediocre outings like Cowboys and Aliens and disasters like Wild Wild West inspired concern about the limits of the subgenre's appeal, but nothing could prepare movie audiences (or producers) for Jonah Hex. In retrospect, the cast is pretty solid: they got Thanos, Cyrus 'the Virus' Grissom, April O'Neil, the handsome android from Prometheus, and Gob, who made a huge mistake when he got involved with this broken DC Comics adaptation. All Jonah Hex had to do was be better than Wild Wild West. As we saw with The Last Airbender, rich source material is no guarantee that the movie will be good. In the comics, Jonah Hex is a troubled antihero. A Confederate soldier who refuses to fight and gets himself captured by the Union, Hex refuses to turn over any information about his soldiers' whereabouts. As retribution, his captors frame him as "a turncoat and a traitor." Quentin Turnbull, the wealthy father of a fallen Confederate soldier (with whom Jonah has a rich history), blames Hex for his son's death and vows vengeance. There's enough content right there for a solid movie—and that's without getting into the thrilling origins of the Mark of the Demon on his face, his thrilling (albeit culturally insensitive) early history as a child slave of terrifying Apaches, and the supernatural powers he eventually acquires. So what happened? According to Keith Phipps of the A.V. Club, the movie's "stitched-together" slipshod quality is probably a consequence of the project's numerous last-minute changes. "Rumors of trouble dogged Jonah Hex's production," wrote Phipps, "from the time its original directors, the Crank writing-directing team of Neveldine & Taylor, abandoned the project, up to when director Jimmy Hayward—an animation vet making his live-action debut—conducted last-minute reshoots with another director's help." The Last Airbender should've been good. It…wasn't. Eminent film scholar Roger Ebert called it "an agonizing experience in every category I can think of and others still waiting to be invented. The laws of chance suggest that something should have gone right. Not here." Tell us how you really feel, Mr. Ebert. The names of the supporting cast in the opening credits almost make you think it could work. The producers got The Daily Show's Aasif Mondvi, Slumdog Millionaire's Dev Patel, and the woefully underappreciated man of a thousand faces Cliff Curtis—who appears as Fire Lord Ozai here and has played characters such as Lt. Cortez, Sheikh Fadlallah, FBI Deputy Director Miguel Bowman, and Pablo Escobar. Too bad they're given nothing to do but stand around rigidly and provide exposition, while director M. Night Shyamalan does nothing to help the miscast child actors in the starring roles. The opening credits of The Last Airbender show people using tai chi to manipulate the elements, and that dimly lit 15-second demonstration is as good as this stupid movie ever gets. Ebert makes the point that the flick's child actors, whom Shyamalan expects to carry the film, are "bad" because, in all likelihood, they've not been given proper instruction by their director. After praising the anime series that The Last Airbender misrepresents and lamenting the big-budget animated movie that never was, Ebert "[closes] with the hope that the [movie's] title proves prophetic." Now that, Fire Lord Ozai, is a real burn. You know what fixes every borked relationship? If you answered "Dramamine bender in a ginormous nightmare vessel on the high seas," you, Annie, and her new boyfriend Alex have something in common. 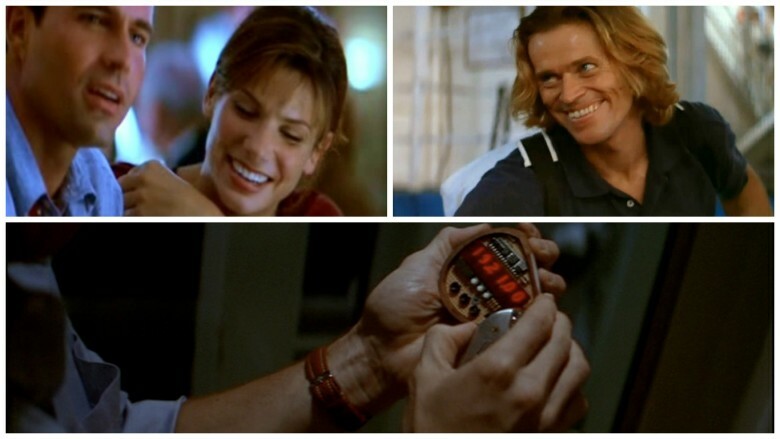 In Speed 2: Cruise Control, Annie (played by Sandra Bullock, returning from the original) is going on a cruise with her beau Alex, played by a bored Jason Patric, who suddenly turns into MacGyver in the middle of their ill-fated vacay. What keeps this ill-conceived cash grab from sinking immediately? Five words: Willem Dafoe's golf club bombs. They're like the Penguin's umbrella gun in Batman Returns, which turned an already awesome movie into the best Batman movie of all time. (If we need to write an article to prove it, we will.) When we saw the bomb-clubs, we thought, "Maybe this'll be good after all." Nope! Lisa Schwarzbaum of Entertainment Weekly summed it up succinctly: "Willem Dafoe… cackles maniacally and fiddles with bomb settings [but the] blinking lights might as well be emanating from a vital-signs monitor. The story is dead in the water." 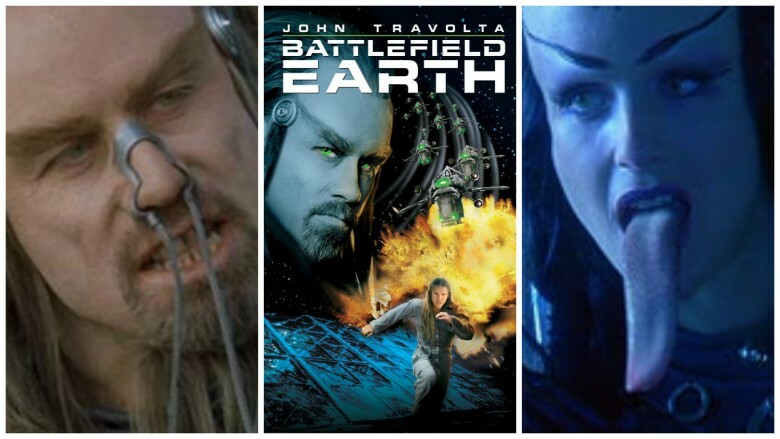 Speaking to Charlie Rose about trying to get an adaptation of Scientology founder L. Ron Hubbard's novel Battlefield Earth funded, John Travolta said, "I thought that, if done well, this could be one of the most entertaining science fiction movies ever, ever done." Certainly, Travolta's arduous campaign appears to have been a decades-long labor of love. Indeed, according to the Guardian, "The book, Battlefield Earth, was sporting a 'soon to be major motion picture' on its cover as long ago as 1984." By all accounts, the movie didn't turn out as Travolta hoped it would. What's it about? J. Hoberman of the Village Voice tried in vain to untangle the plot: "Set a thousand years in the future, the movie posits a world conquered by extraterrestrial Psychlos who… have enslaved most of humanity and reduced the rest to a pathetic pagan tepee-and-buckskin lifestyle. The Psychlos, led by John Travolta and a Wookie-like Forest Whitaker, are big fellas with green eyes, dreadlocks, formidable paws, and mossy teeth…[who] hang around a windowless bar swilling tumblers of a chartreuse liquor with the baleful glow of radioactive urine." Not exactly our idea of top-shelf entertainment. Counted among the worst movies ever made, Battlefield Earth drew criticism from ex-Scientologists—"suppressive persons," in the Church's lingo—who raised concerns about members of the Church dictating edits. If the whistleblowers are right, then Battlefield Earth should have been Scientology's Passion of the Christ—a would-be worldwide religious awakening in blockbuster form. According to Travolta, though, Battlefield Earth "absolutely has nothing to do with Scientology," aside from Hubbard. Whom should we believe? In times of doubt, we turn to sage of the cinema, Roger Ebert. With characteristic irreverence, Ebert jokingly agreed with Travolta's claim. "The film contains no evidence of Scientology or any other system of thought; it is shapeless and senseless, without a compelling plot or characters we care for in the slightest." If there is an allegory at the heart of the movie, we can only presume it's there accidentally, and it symbolizes how not to make a compelling science fiction film. To make matters ever less scientifically sound, our adolescent hero appears to be struggling to breathe, and yet a bunch of scary, oxygen-breathing jungle creatures, with biospherical requirements similar to humans, prowl the wilds. Furry primates can breathe just fine, meanwhile other less furry primates—humans—gasp for breath. What? Then there's the absurd conceit that in a thousand years, ecosystemic evolution has had time to generate revolutionary changes in the planet's biology. Finally, there are the aliens who can "smell fear." After Earth wants us to believe the impossible: that there would be less oxygen on Earth without humans around to pollute it, that fear has an odor, and that Jaden Smith deserves the career he's been handed. 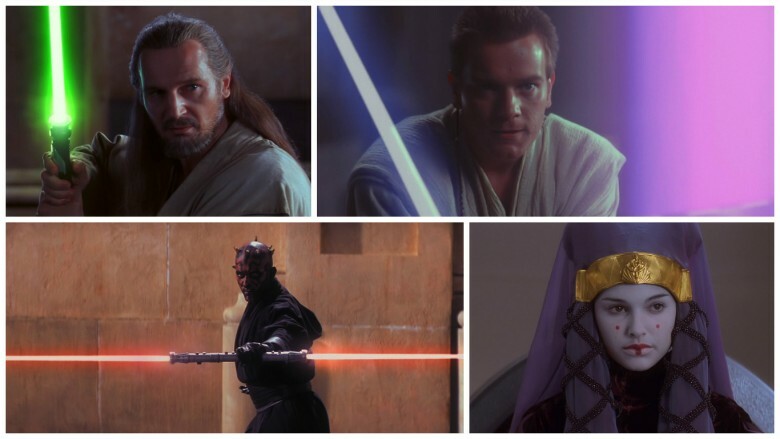 Without Star Wars Episode I: The Phantom Menace, we wouldn't have Star War The Third Gathers: Backstroke of the West HD, that masterpiece of re-translated, redubbed, gibberish cinema. ("Good-good-good. Let us counter-attacking!") An English re-translation of a bootleg Chinese translation of Star Wars Episode III: Revenge of the Sith, the YouTube gem almost makes up for George Lucas's egregious indiscretions. As we must appreciate our in-laws for birthing our spouses, we appreciate the first of the prequels—but it isn't easy. The Phantom Menace makes Battlefield Earth look like A New Hope running on a crooked projector. Much has been made of the fact that Jar-Jar and a number of new aliens come across as thinly disguised ethnic stereotypes. As Mark Caro of the Chicago Tribune put it in his scathing review, Jar-Jar "sounds most like a prepubescent Mushmouth from 'Fat Albert and the Cosby Kids,'" and "walks in an exaggerated pimp strut. He's not the only ethnic caricature, either; the Trade Federation officials sound like stock [East Asian] villains." Remember how critics burned M. Night Shyamalan for glorifying himself as an artist and demonizing movie critics when he made The Lady in the Water? In that movie, Shyamalan cast himself as a heroic, misunderstood artist-writer and made his villain a "clueless film critic." The Phantom Menace is Lucas's Lady in the Water, with the greedy galactic tax-man in place of the critic. "The taxation of trade routes to outlying star systems is in dispute." Writing in 2016, amid another tax-related quandary involving Lucas, Phil Rosenthal of the Chicago Tribune points out, "Is it lost on everyone that Episode I of George Lucas' own greatest narrative, the Star Wars series, ostensibly begins with a pushback on taxes, for crying out loud?" It's a prescient point. In the 16 Earth years between Return of the Jedi and Phantom Menace, Lucas amassed billions of dollars from merchandising—and suddenly, the biggest evil in the galaxy is no longer the mysterious Dark Side of the Force but "the greedy Galactic Trade Federation." All things considered, though, the movie opens on a high note. The screen is black and the comforting mantra, "A long time ago, in a galaxy far, far away…" appears onscreen, accompanied by silence, then epic fanfare. The first sentence of that old, familiar Star Wars crawl is pretty enticing: "Turmoil has engulfed the Galactic Republic." Turmoil, you say? What sort of turmoil, Mr. Lucas? We're awful excited to learn the specifics. We've been waiting for 16 years to learn how the whole Skywalker/Darth Vader thing started. It's…space taxes? What next, a Star Trek movie about Tort Reform? Holy Man is a type of movie that appeals to execs in Hollywood—a feel-good heartstring-tugger. (In this case, however, "good" is a stand-in for "bored.") In Holy Man, spending money while listening to why you shouldn't spend money brings spiritual fulfillment. It's all the values of Hollywood bound up in an unfunny package. As Margaret A. McGurk of the Cincinnati Enquirer put it, "Oh brother, what a preposterous package it uses to deliver its warm and fuzzy message about What Really Matters." Eddie Murphy plays G, a so-called holy man who wants to transform home shopping into a religious experience. Is G truly holy or just a person? What makes him holy? Can we all be holy? Maybe—just maybe—we were holy all along, but we just didn't know it. Or maybe it's a cynical ploy on the part of personalities in the TV home-shopping industry to ingratiate themselves to us on a spiritual level, before the internet runs them out of town… Whoa. So when does Holy Man get hellish? As Mick LaSalle of the San Francisco Chronicle puts it, "About halfway through Holy Man the terrible reality sets in: Oh, no, they mean for us to take this seriously." That's a pretty generous assessment, LaSalle; G would be proud. While the Wahlbergian Age of Extinction gets a lot of hate and Dark of the Moon isn't exactly a work of art, we consider Revenge of the Fallen to be the ugliest of the subpar Transformers sequels—and not just for its dizzying, chromed-out, nonsensical visuals. As the folks at CinemaSins point out, in the opening montage, "The movie uses primitive hunters as an example of the brutality of humanity." In fact, there is a racist robo-thread running through the entirety of this itchy CGI sweater of cinematic apostasy that, if pulled, causes Bay's movie to completely collapse. As Sonny Bunch of the Washington Times relates (quote can be found after the in-article jump), "Autobots Mudflap and Skids, a pair of twin robots voiced by Tom Kenny, sport noticeable inner-city accents and are adorned with gold caps on their teeth. At one point, they're asked if they can read some ancient runes that keep popping up. 'Nah, we don't really do much reading,' one of them replies, much to the chagrin of the black portion of Monday evening's preview audience; there were audible boos after that line." From the African characteristics of its stereotypical (and explicitly "brutal," in the opinion of Optimus Prime) primitive tribesmen to the minstrelsy of the Twins, to the pervasive racially tinged one-liners, Revenge of the Fallen retrofits a beloved sci-fi franchise with deplorable racist tropes. Director Zack Snyder has some explaining to do. 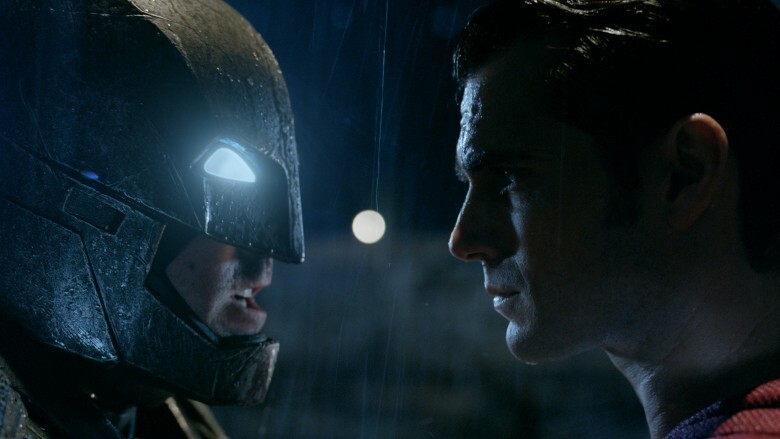 The widely derided Batman v. Superman: Dawn of Justice wasn't his first superhero movie; there's no excuse for what one critic called "a stink bucket of disappointment, a sad and unnecessary PG-13 orphan fight." How could Snyder, with one big dumb movie, get Batman and Superman so wrong, while making Holly Hunter, Amy Adams, freakin' Morpheus, and veteran scene-stealer Michael Shannon actually seem boring? In fact, of all the films on our list, this is the one that got off to a great start before they shot the first scene. You have Batman and Superman together! For the first time in a live-action movie! Add Wonder Woman to the mix, and you've won half the battle even without a script. And that's kinda how Dawn of Justice met its downfall, really—instead of a sensible narrative, it's just a collection of stuff that happens, much of which doesn't make a lick of sense if you spend more than a couple of seconds thinking about it. Even the rock 'em sock 'em fun inherent in the title gets steamrolled by a grim, loud, and utterly preposterous final showdown between our two main heroes that's ultimately settled because both of their moms are named Martha. Whoo. 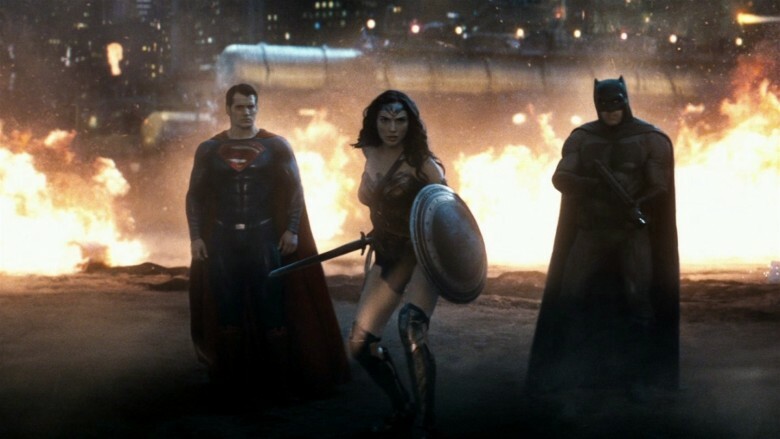 So yeah, in terms of concept, brand legacy, and overall anticipation, Batman v Superman: Dawn of Justice got off to an excellent start—and then the movie showed up. 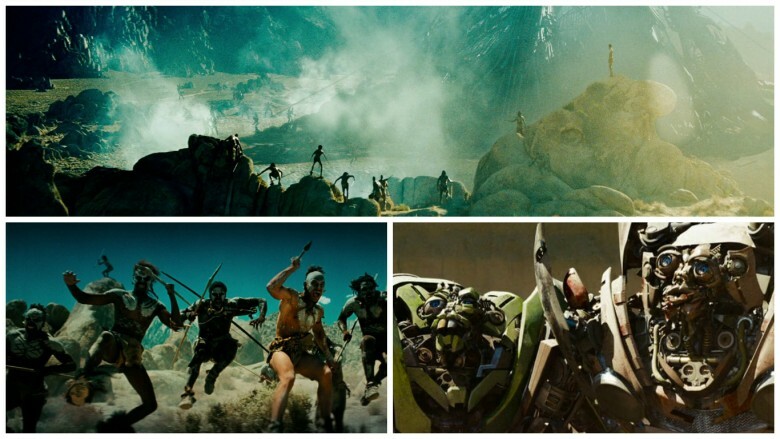 There are four well-crafted CGI leaves in the opening credits; despite being on screen for mere seconds, they're the most fully realized characters Snyder gives us. Then the voiceover kicks in and we're teleported to Terrible Poetry Corner, courtesy of Ben Affleck. "There was a time above, a time before. There were perfect things. Di-a-mond absolutes," he begins, stretching "diamond" into three syllables Rihanna-style. (You, Mr. Affleck, are no Rihanna.) "Things fall," he continues. "Things on Earth. And what falls…is fallen." It only goes downhill from there.